"Foiled" is a feature-length movie we made in our spare time between 1995 and 2000 (yes, almost 5 years!) 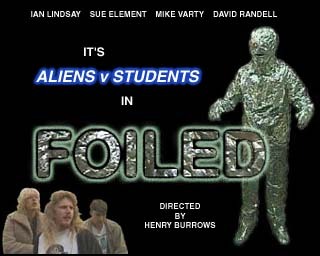 featuring students, aliens, bizarre dream sequences, and lots of foil. In these pages, you'll read how we struggled to bring it to the screen in our online journal, from the pre-production process right through to the premiere in London's West End. You'll also learn more than you could ever want to know about the characters in the movie, and the actors who play them. 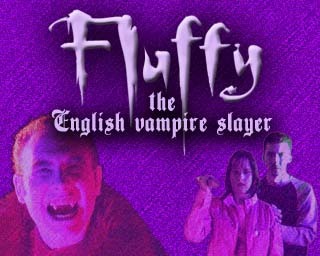 "Fluffy The English Vampire Slayer" is a Buffy fan-film we made during 2001. It's currently available to watch online, and a soundtrack CD featuring a couple of tracks from the film is available to buy. A video CD release is also out, which includes behind the scenes information, out-takes and commentary track. 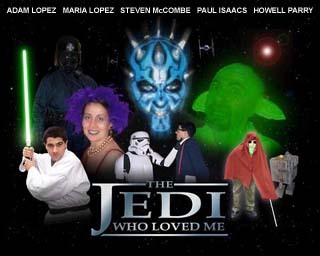 "The Jedi Who Loved Me" is a 21 minute movie we made to celebrate the wedding of Adam and Maria Lopez, set in the Star Wars Universe. In these pages you can see pictures from throughout production, gain an insight into the creation of our special effects, and you can download the movie in its entirety. 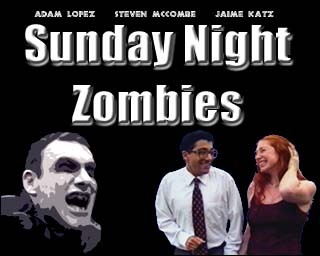 "Sunday Night Zombies" is a very cheesy 11 minute movie we made back in May 1999. It's a joint UK/Canada production, and is a sequel to a film which has never really existed - "Saturday Night Zombies", the film Jimmy watches on TV in Foiled. 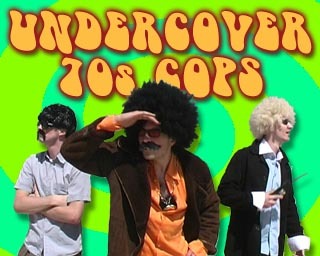 "Undercover 70s Cops" is a music video we shot in the summer of 2002, featuring cops and criminals in crazy disguises running around to the music of Grebeau, inspired by a Beastie Boys video. Available to watch online. 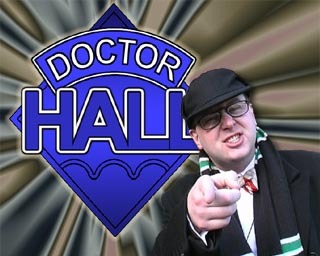 "Dr Hall" is our spoof of the classic BBC TV series "Doctor Who". We started it back in 2003 and whenever inspiration strikes, we go out and shoot another episode. There are no scripts and everything is improvised on the day. There are currently 8 episodes available to watch. 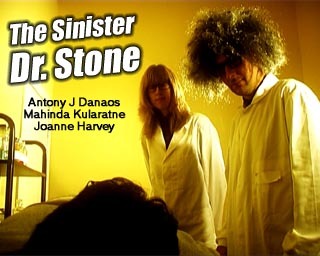 "The Sinister Dr Stone" is a short (8 minute) film we completed in April 2006. A very sinister doctor and his mysteriously silent assistant perform medical experiments on a student. But what is their real purpose? 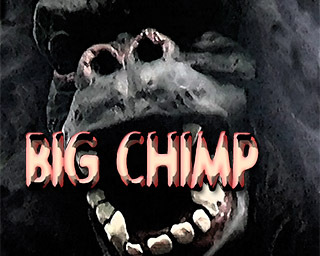 "Big Chimp" is a 24 minute King Kong fan-film we filmed in 2006. Anne Sparrow, Carl Denim and Jack Plisken set sail to an island inhabited by some unfriendly natives and a very large... gorilla.